Orana Productions is proudly presenting a strictly limited season of Mimma - A Musical of War & Friendship at Perth's Regal Theatre this April. Tickets are now on sale (12 performances only). Starring celebrated Australian soprano Mirusia Louwerse as Mimma and featuring the Perth Symphony Orchestra, Mimma is the must-see musical of 2019. Audiences can expect an extraordinary blend of jazz, opera and musical theatre! 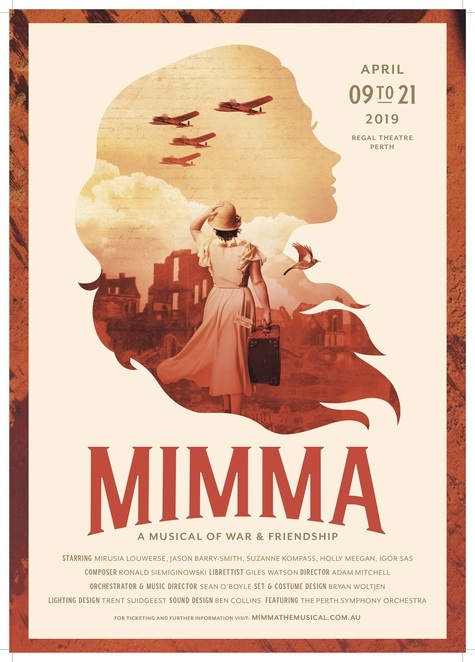 Mimma is an engrossing musical about two women from very different cultures, with very different aspirations, whose friendship transcends the conflict between their nations, and endures the ravages of history. Mimma, a young journalist from Turin, Italy, takes refuge from the upheaval of war and the tyranny of Mussolini at her Uncle Lorenzo's nightclub in Soho, London. Here she meets Sarah, an aspiring jazz singer. England and Italy are facing their darkest hours and Mimma is in danger of losing everything, except the one friend she can trust. Mirusia Louwerse spent 10 years performing as the Star Soprano of André Rieu, as well as in front of country leaders and royalty. Today Mirusia is a household name who regularly sells out shows around the world and number 1 charting albums, DVDs and singles. "I'm proud to have been there from the start and to see her career take off. After having worked with this incredibly talented young lady I can only wish her all the best in her solo career" - André Rieu. Mirusia is joined by Jason Barry-Smith as Aldo Marini, Holly Meegan as Sarah Parker, Suzanne Kompass as Ada Marini, Igor Sas as Lorenzo Perona, Ian Toyne as Senior Constable Talbot and Brendan Hanson as Gino. The creative team includes award-winning director Adam Mitchell, composer & producer Ron Siemiginowsk, librettist Giles Watson, musical director Sean O'Boyle, set & costume designer Bryan Woltjen, lighting designer Trent Suidgeest, sound designer Ben Collins, choreographer Christabel Ellis and video designer Michael Carmody. 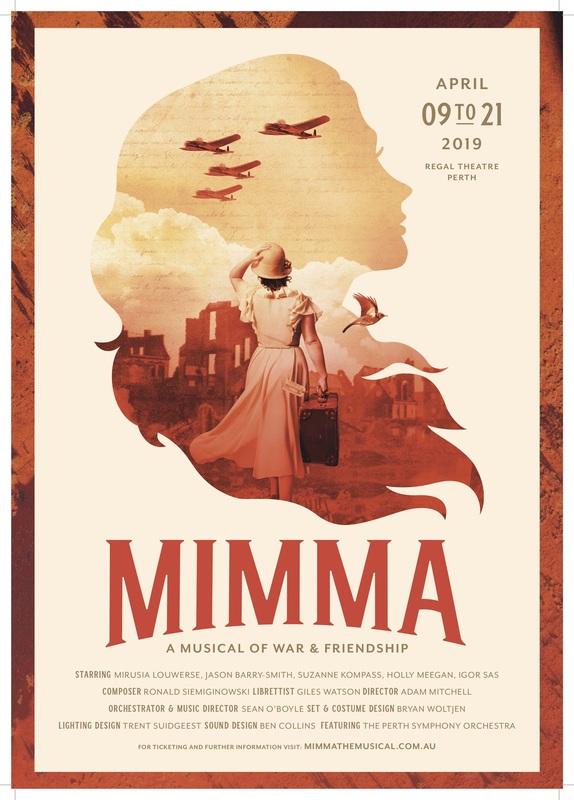 Tickets for Mimma - A Musical of War & Friendship are now on sale through Ticketek and priced from $75. Early bookings are advised. Make Friends in Brisbane with Chatter & Co.